I love being back on the road, part two. Next stop, Hill City South Dakota. 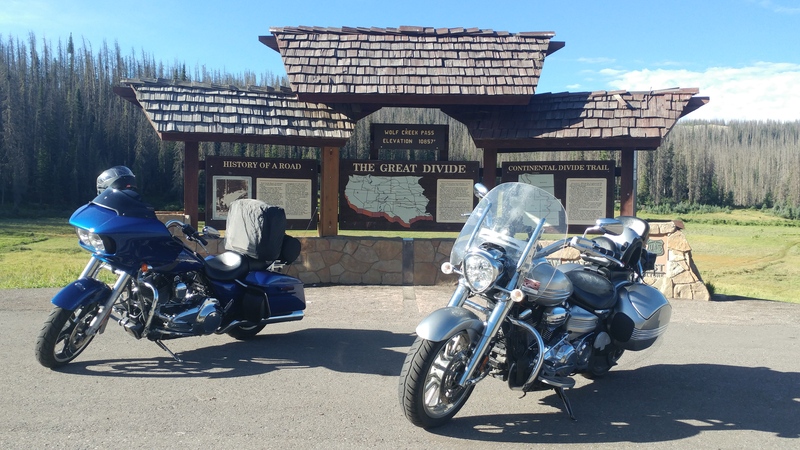 The ride over Wolf Creek Pass was great. From there to Hill City was a ride that was “how fast can I get there?” It was pretty damn fast. 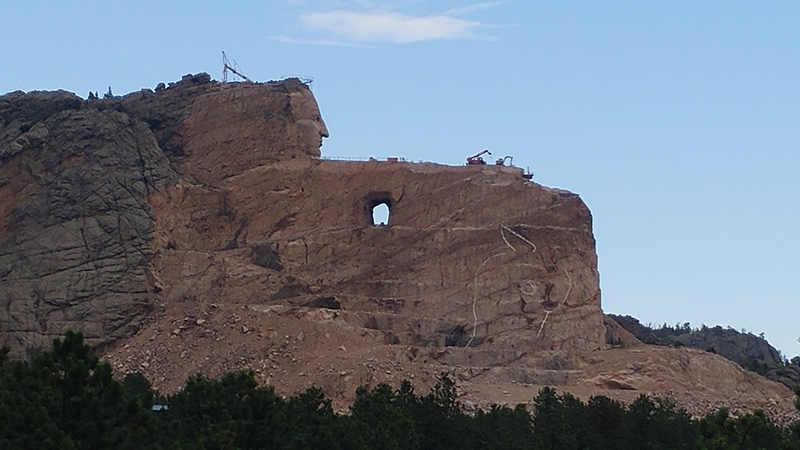 First stop was the Crazy Horse National Memorial. What a great place and story. It is still a work in progress and I’m looking forward to going back again in a few years to see what they have done. Next stop, Mount Rushmore. This is incredible. Pictures do not do this monument justice. You have to see it for yourself. The story of how and why it was built is wonderful. I believe that every politician should visit this monument, watch the movie and learn from it. 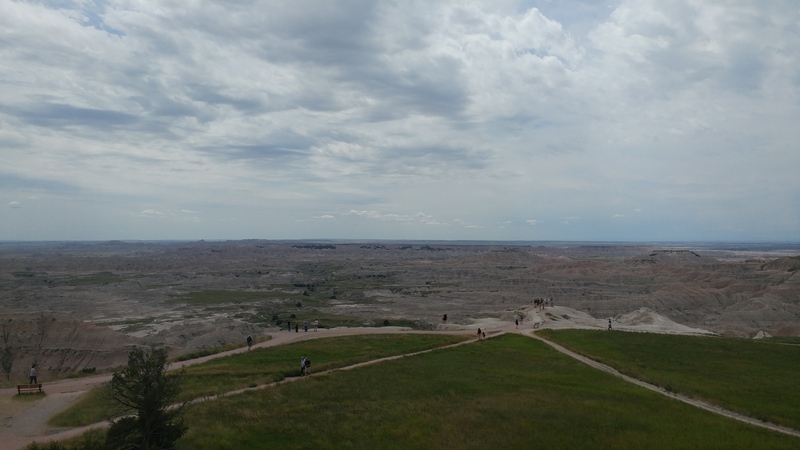 Traveling through the Badlands of South Dakota, it is really an area that you as a motorcycle rider should see and feel. 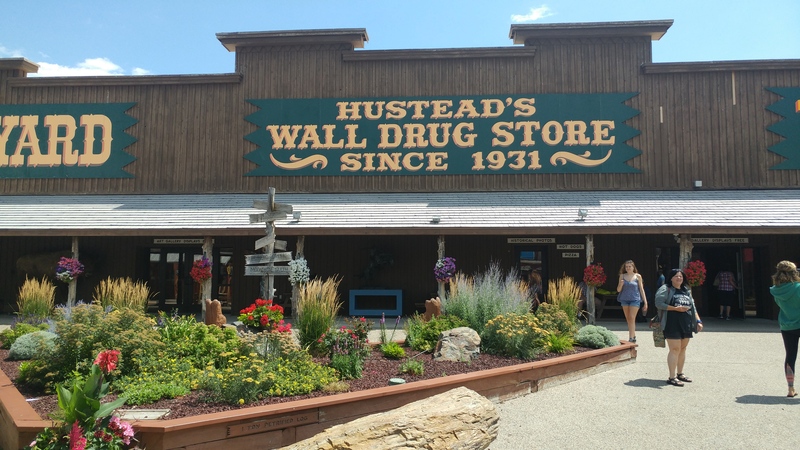 We did make the obligatory stop at Wall Drug. 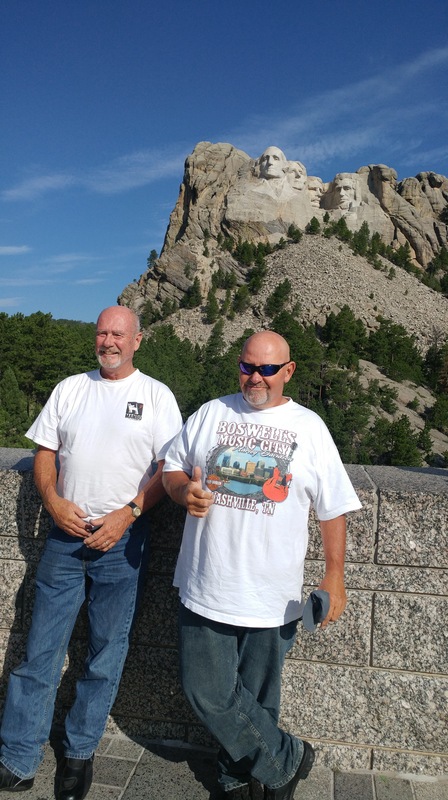 So next it was over to DeadWood and then to Sturgis. Am I being punished? The good thing is we were there before the chaos of the rally. Oh, and we just missed another rain storm. well, not quite. 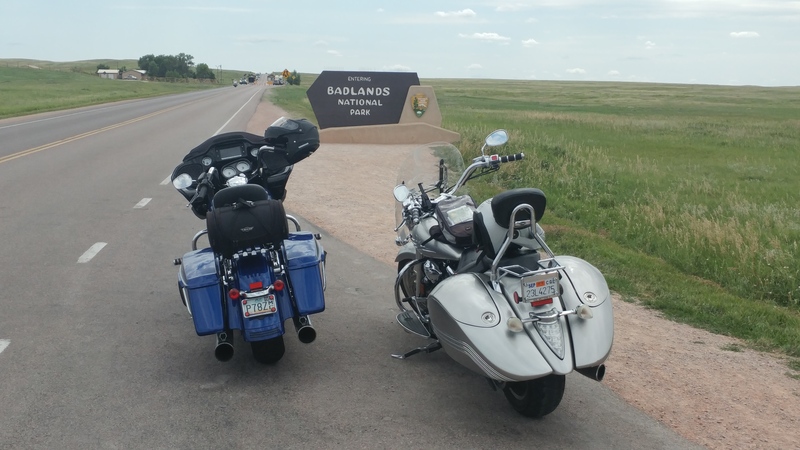 I really enjoyed riding through South Dakota. 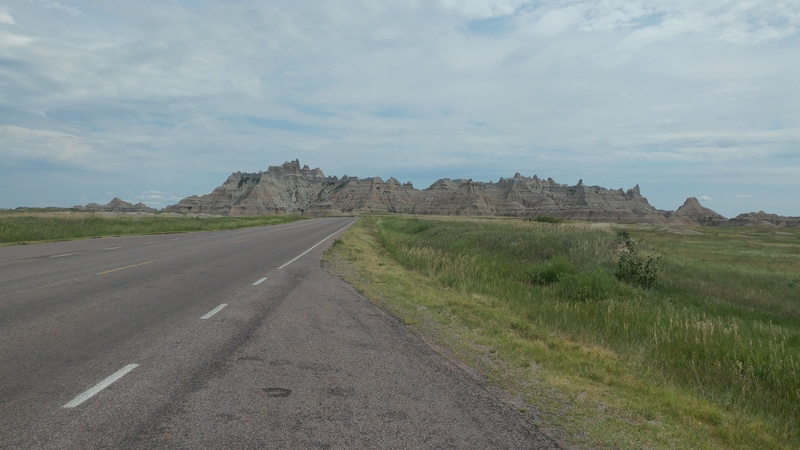 I have a question here though…South Dakota is not a rich state yet the roads are in great shape. They have snow and freezing weather but the roads are well maintained and a pleasure to ride on. California on the other hand, is one of, if not the richest, state in the country and we pay the highest road taxes and our roads are the worst. Whats wrong with this picture??? Not the picture above. So off to Deadwood and Sturgis we go. DeadWood is a pretty interesting town. It made for a good breakfast stop. 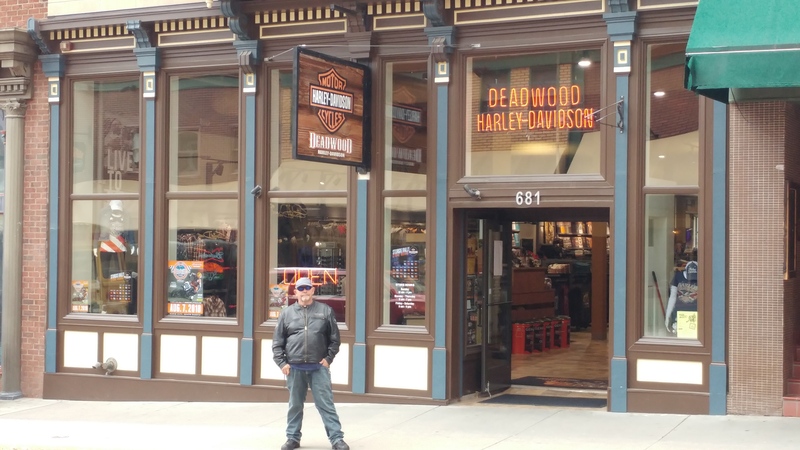 And Les had to go to the Harley dealer, really just a Harley clothing store. We also stopped at Jerry Greer Engineering. 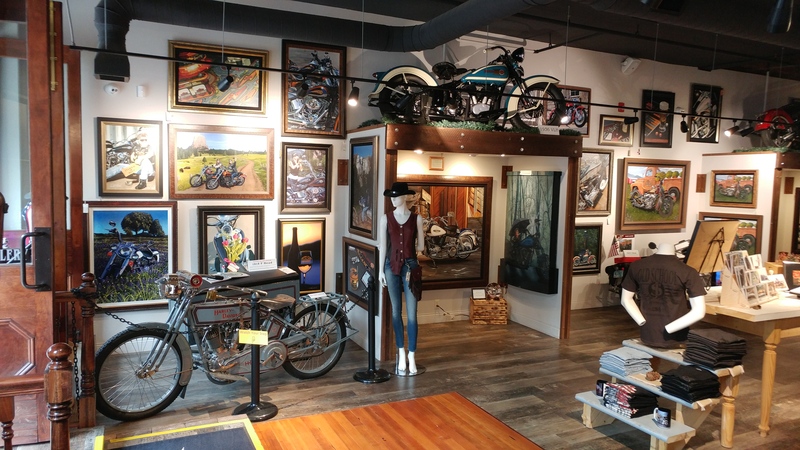 This is a guy that specializes in old Indian motorcycles. It was a really cool place to stop. ← I love being back on the road, part one.